Introducing Our Brand New Stabilized Clip-on Veneers! Clip-on veneers can normally bridge a gap as wide as 2 or 3 missing teeth (it does vary depending on the type of veneer and the size of the gap); however more than 3 missing teeth can cause the veneers to become too unstable for practical use. Therefore reputable suppliers of clip-on veneers will always ask the customer about any missing teeth and generally speaking, a customer with more than 2 or 3 missing adjacent teeth will be told that he/she is unsuitable for clip-on veneers. Of course this can be an enormous disappointment for such a customer who may have set his or her heart on getting clip-on veneers. 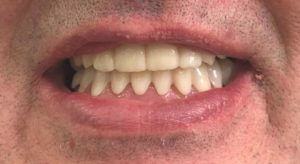 Indeed it is not uncommon that customers are looking at clip-in veneers as a possible alternative to partial dentures which they are finding uncomfortable or even impossible to wear. 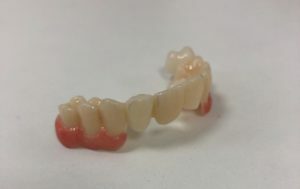 Any customer who is finding dentures uncomfortable should see their dentist, who can also advise about other dental treatment options available eg new / different types of dentures, implants, bridges etc. 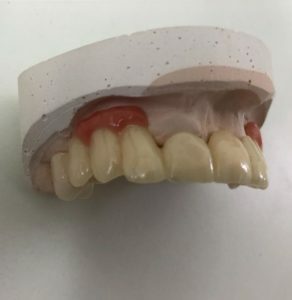 To help fill this “gap in the market”, we have been busy working on a new product aimed at those with multiple adjacent missing teeth and we have come up with something that we believe is a “first”. This new type of veneer incorporates features which give added stability. Our tests have shown the new veneer is well retained on our dental models and customer feedback from our first users has been very positive. However we must stress that this is a cosmetic and not a functional appliance; it is not designed for eating and indeed is unsuitable to be used for eating. But it does open up a new option for those who are seeking a purely aesthetic/ cosmetic solution. Below are pictures of this new product and one of our first customers to benefit from it! Stabilized clip-on veneers, new for 2019. 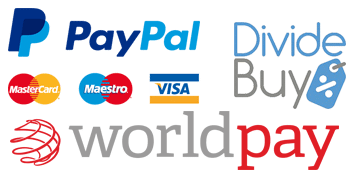 As this is a highly customised product, unfortunately at the present time, we are not able to accept online orders, if interested, please contact us directly by email: Enquiry@FabSmileVeneers.co.uk.